This re-evaluation began with the publication of alchemical writings from the papers of Isaac Newton. Scholarly interest has expanded to take in the alchemical work of Newton’s contemporaries and his immediate predecessors. By the time of Newton and the Scientific Revolution, alchemists had produced an impressive number of laboratory processes and a corpuscular theory of matter. This talk will present an overview of alchemy and its contribution to the Scientific Revolution. Professor Walter F. Rowe is a Professor of Forensic Sciences at The George Washington University, where he has been a member of the faculty of the Department of Forensic Sciences for more than 30 years. Professor Rowe has a B.S. in chemistry from Emory University and a Master’s and Ph.D. in chemistry from Harvard University. 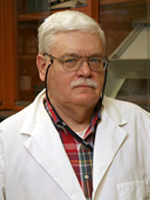 He served two years in the U.S. Army crime laboratory system as a forensic drug chemist and a forensic serologist. During his military service Rowe was also a credentialed criminal investigator and participated in processing crime scenes (including the scene of the Fort Bragg murders, for which Dr. Jeffrey McDonald is now serving multiple life prison terms). He is a Fellow of the American Academy of Forensic Sciences and a former member of the editorial board of the Journal of Forensic Sciences. Professor Rowe is also a member of ASTM Committee E30, which sets standards (including educational standards) for a variety of forensic science disciplines. He is also a member of the American Society of Trace Evidence Examiners. Professor Rowe is president-elect of the Council of Forensic Science Educators. He has been a consultant forensic scientist to law enforcement agencies, prosecutor’s offices and defense attorneys; Professor Rowe has worked closely with Barry Scheck and Peter Neufeld of the Innocence Project.